This site, with its strapline, All Over the Place: A Kind of Autobiography, arises as a concept from the two archives which are described elsewhere on this site. It occurred to me that a website would enable me to comment on, and draw together, some of the threads in the archives, and in so doing to create the autobiography that I’ve dreamed of writing for most of my life. If this idea appeals to you (and I accept it won’t be everyone’s cup of tea) go out there and explore its labyrinthine structure, visit and open its drawers, as it were, and see what you find. There are references to the archives where appropriate, though in the case of my home archive, this is unfortunately not open to the public. 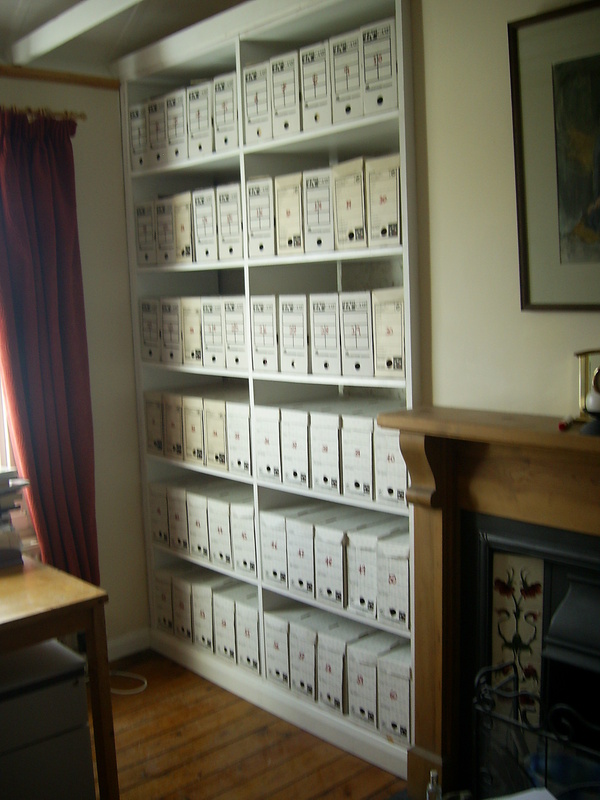 The non-embargoed boxes of the Mass Observation F Clark-Lowes Small Collection can be viewed at the Keep at Falmer, Brighton, UK, by appointment (click on the link for contact details). If it’s practical for you to get to Brighton and see the archive for yourself, I encourage you to do so. This site is largely page-based; in other words it is similar to the archives it to some extent mirrors and complements. But I intend to use the Home page to post thoughts as they occur to me. These may well be copied to other appropriate pages. If you write an autobiography people normally have to pay to buy your book, and many people never read books, particularly these days. So publishing an on-line autobiography which the whole world can access for free is a somewhat daunting prospect. Even the writer of a conventional autobiography has not only to be careful to avoid saying anything which may be libelous or inflammatory, but also to consider how what they write might affect themselves, their family and friends. I have to be additionally cautious in this respect. But fortunately I have two options where what I want to write material which I don’t want the world to read. I can protect pages with a password, in which case anyone I give the password can view it. Such pages appear appear in the list of pages. Or I can make a page private, in which case it cannot be seen at all. I have used both these devices, though as sparingly as possible. I have set dates for the lifting of these restrictions, should this site survive well into the future. I’ve been postponing going public for some time now, on the grounds that the site isn’t ready. But actually I’ve realised it never will be ready, just as the archives will never be entirely sorted, and just as I will never finally have made up my mind on anything. Some pages may be empty, others may have little in them, others are overfull and disorganised. And what content there is ranges from the mundane to the controversial. This site is an organic creation, and as such, you’ll have to take it as you find it. For a more extensive discussion of the thinking behind this website go to the All Over the Place page.